This article was originally published on August 20, 2010, in the Shenzhen Daily. 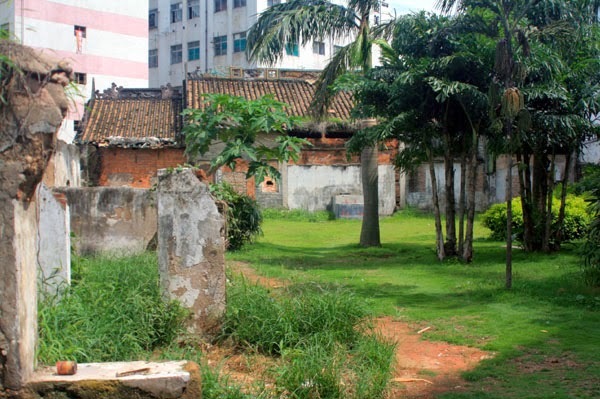 Some of Shenzhen's oldest buildings are found in Nanshan. 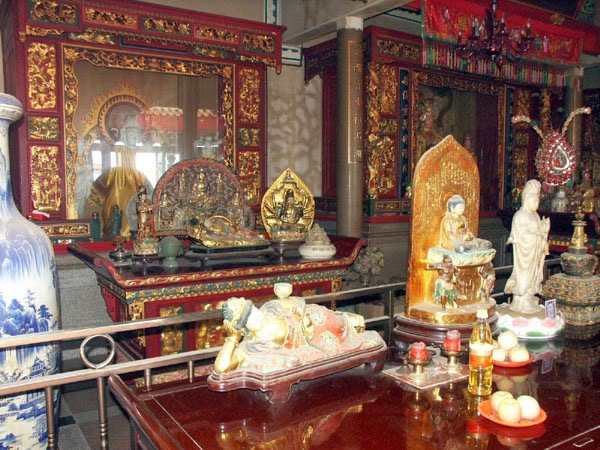 I've chronicled some of these before, and today we'll visit two more: the Chun Niu Tang or "Spring Cattle Hall," and an old Mazu Temple. 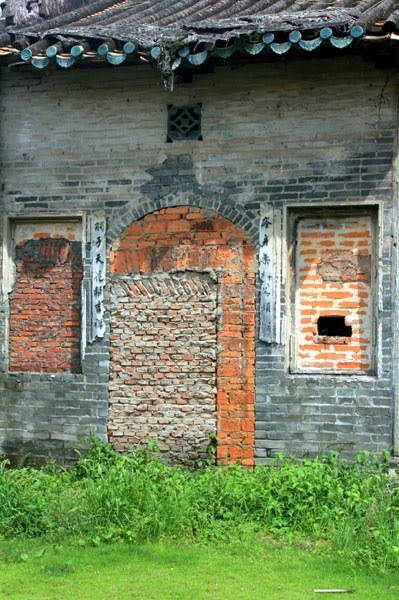 On the south side of Dongbin Lu, just east of Qinghai and the grounds of the Nanshan District Committee Party School, lie some tattered trees and a stretch of lawn leading to a decrepit old plastered brick building. 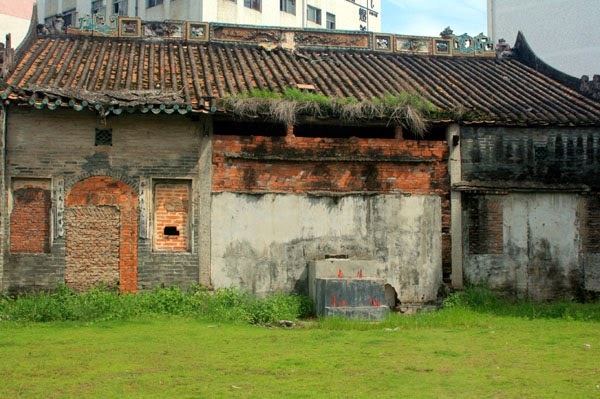 Few would guess that this derelict was the center of a sort of agricultural cult back in the early Ming Dynasty. 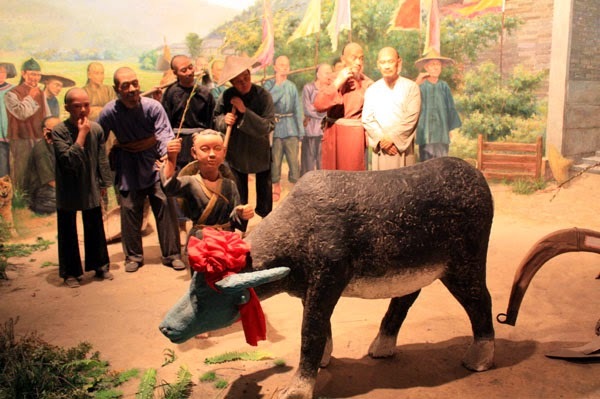 It was called the "Spring Cattle Hall" (Chun Niu Tang), where the plowing season was kicked off by the ceremonial beating of an earthen statue of a cow. The building was originally 15 rooms in a typical three-hall, two-courtyard style. All that remains is the back hall with a well inside. A marker around the back declares the building's status. Another ancient landmark has fared better. 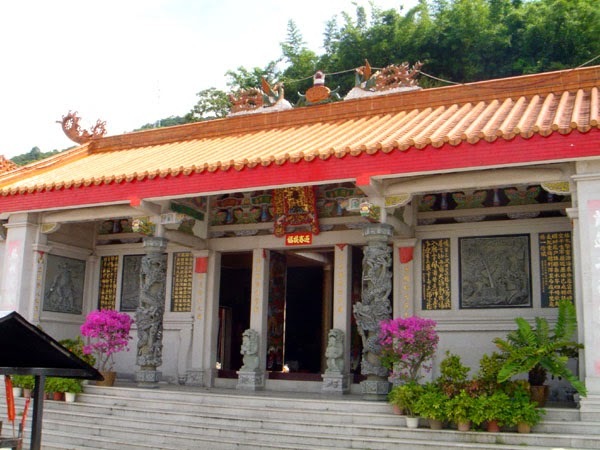 Many people know about the Tianhou Temple in Chiwan, Guangdong's largest Tianhou Temple, and the largest non-Buddhist temple in Shenzhen. 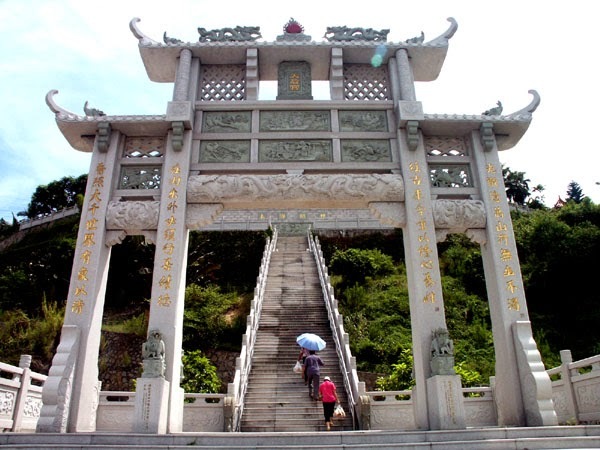 But few realize that just over the hill is an ancient temple dedicated to Mazu (another name for Tianhou). This one requires the climbing of a steep set of stairs, but the charm of the temple and the view of Mawan Bay make it worth the trouble. There are also quaint statues of the figures of the "Journey to the West," and the temple keepers seem delighted whenever anyone makes the effort to visit. Take bus #42 from Windows of the World Metro Station to the end. 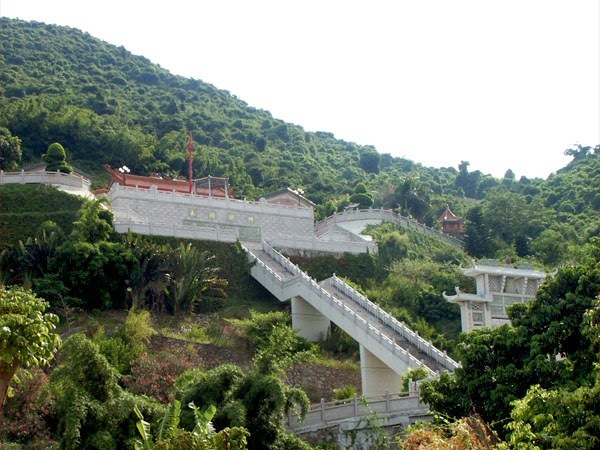 Walk further south on the same road (Mianshan), and climb the stairs to the temple.